The University normally holds at least one main convocation for graduates each year. In addition, particular affiliated campuses may hold their own ceremonies. It is not necessary to attend a convocation or ceremony in order to graduate from the University. The issuance of the degree certificate/diploma and transcript is considered to mark the act of graduation whether this is done at convocation or via postal mail. However, many graduates consider attending convocation to be a major occasion in their lives and the appropriate culmination of their hard work and achievement. The document attesting that the graduate holds an academic award is variously known as a diploma, degree certificate or testamur. The degree certificates issued by the University have security features that mean they cannot easily be copied. In addition to the degree certificate, graduates receive a European-style Diploma Supplement from the University that gives information about their award and its context. All graduates of the University are welcome to attend, space permitting. Those who have already received their degree certificate but have not yet attended Convocation are welcome to have their certificate formally presented at the ceremony. Graduates will receive their degree certificate from a senior officer of the University. They may also receive their diploma supplement and/or transcript at the ceremony, or this may be issued to them at another time. Please note that for dual degree candidates, documents from the University’s validation partners must be obtained well in advance if they are to be officially presented at the convocation. It is usual for family and guests to be present at the ceremony. 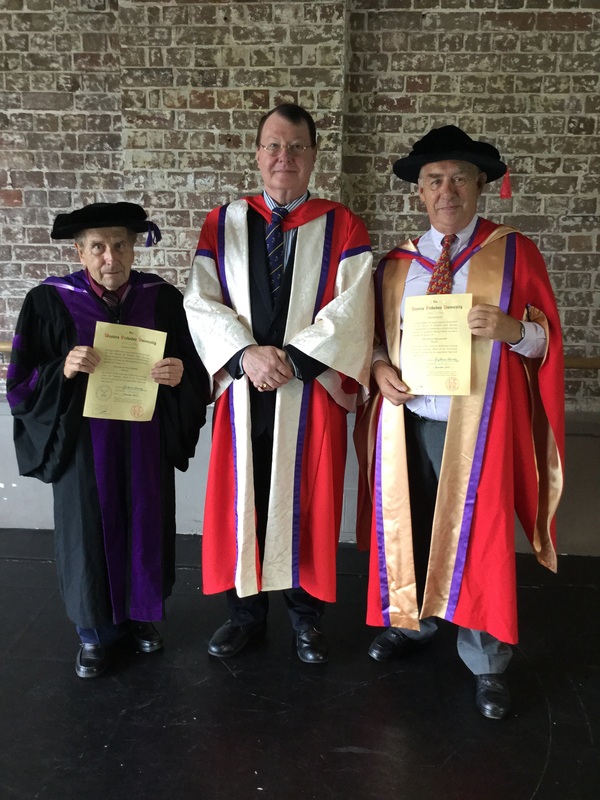 As well as graduates of earned awards at the University, a number of honorary degrees are also presented at Convocation. Refreshments are served after the ceremony and there is also plenty of opportunity for photographs to be taken. A video recording of the ceremony is usually made and afterwards there will be opportunities to purchase the recording on DVD. It is extremely important that those attending should make the necessary arrangements well in advance. All participants are responsible for their own costs and arrangements in respect of travel and accommodation, and for the additional costs that will usually be imposed for attendance at the ceremony to cover venue and administration charges. Details of these matters can be obtained from the senior officer of the University concerned with the ceremony. No person may graduate from the University who has outstanding debts, including debts relating to attendance at Convocation. Only those who have settled all invoices in full may receive their degrees. Academic dress is to be worn by all graduates at Convocation and is also available to purchase from the University Robemakers. Details of academical dress can be obtained from the University.